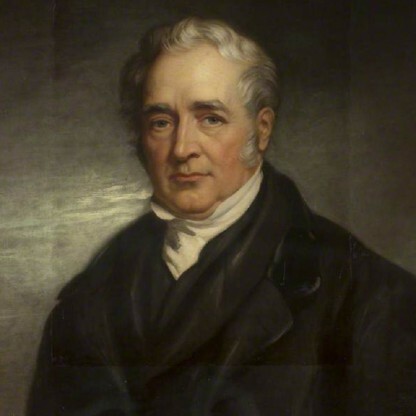 George Stephenson was born on 9 June 1781 in Wylam, Northumberland, 9 miles, which is 15 km west of Newcastle upon Tyne. He was the second child of Robert and Mabel Stephenson, neither of whom could read or write. Robert was the fireman for Wylam Colliery pumping engine, earning a very low wage, so there was no money for schooling. At 17, Stephenson became an engineman at Water Row Pit in Newburn. George realised the value of education and paid to study at night school to learn reading, writing and arithmetic – he was illiterate until the age of 18. In 1801 he began work at Black Callerton Colliery as a &apos;brakesman&apos;, controlling the winding gear at the pit. In 1802 he married Frances Henderson and moved to Willington Quay, east of Newcastle. There he worked as a brakesman while they lived in one room of a cottage. George made shoes and mended clocks to supplement his income. George first courted Elizabeth (Betty) Hindmarsh, a farmer&apos;s daughter from Black Callerton, whom he met secretly in her orchard. 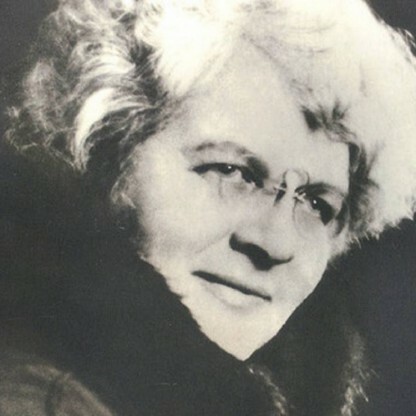 Her Father refused marriage because of Stephenson&apos;s lowly status as a miner. George next paid attention to Anne Henderson where he lodged with her family, but she rejected him and he transferred his attentions to her sister Frances (Fanny), who was nine years his senior. George and Fanny married at Newburn Church on 28 November 1802. They had two children Robert (1803) and Fanny (1805) but the latter died within months. George&apos;s wife died, probably of tuberculosis, the year after. While George was working in Scotland, Robert was brought up by a succession of neighbours and then by George&apos;s unmarried sister Eleanor (Nelly), who lived with them in Killingworth on George&apos;s return. George Stephenson had two children. 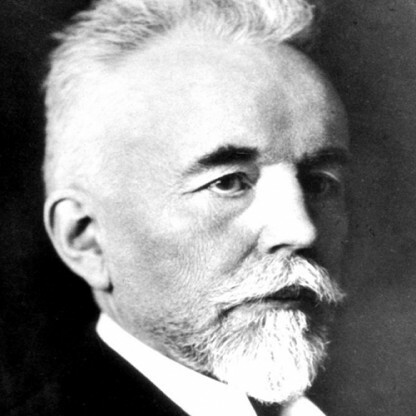 His son Robert was born on 16 October 1803. Robert married Frances Sanderson, daughter of a City of London professional John Sanderson, on 17 June 1829. Robert died in 1859 having no children. Robert Stephenson expanded on the work of his Father and became a major railway Engineer himself. Abroad, Robert was involved in the Alexandria–Cairo railway that later connected with the Suez Canal. George Stephenson&apos;s daughter was born in 1805 but died within weeks of her birth. Descendants of the wider Stephenson family continue to live in Wylam (Stephenson&apos;s birthplace) today. Also relatives connected by his marriage live in Derbyshire. Some descendants later emigrated to Perth, Australia, with later generations remaining to this day. George Stephenson&apos;s Birthplace is an 18th-century historic house museum in the village of Wylam, and is operated by the National Trust. Dial Cottage at West Moor, his home from 1804, remains but the museum that once operated here is shut. In 1806 George&apos;s wife Frances died of consumption (tuberculosis). She was buried in the same churchyard as their daughter on the 16th May 1806. George decided to find work in Scotland and left Robert with a local woman while he went to work in Montrose. After a few months he returned, probably because his Father was blinded in a mining accident. He moved back into a cottage at West Moor and his unmarried sister Eleanor moved in to look after Robert. In 1811 the pumping engine at High Pit was not working properly and Stephenson offered to improve it. He did so with such success that he was promoted to enginewright for the collieries at Killingworth, responsible for maintaining and repairing all the colliery engines. He became an expert in steam-driven machinery. Stephenson designed his first locomotive in 1814, a travelling engine designed for hauling coal on the Killingworth wagonway named Blücher after the Prussian general Gebhard Leberecht von Blücher (It was suggested the name sprang from Blücher&apos;s rapid march of his army in support of Wellington at Waterloo). Blücher was modelled on Matthew Murray’s locomotive Willington, which George studied at Kenton and Coxlodge colliery on Tyneside, and was constructed in the colliery workshop behind Stephenson&apos;s home, Dial Cottage, on Great Lime Road. The locomotive could haul 30 tons of coal up a hill at 4 mph (6.4 km/h), and was the first successful flanged-wheel adhesion locomotive: its traction depended on contact between its flanged wheels and the rail. Altogether, Stephenson is said to have produced 16 locomotives at Killingworth, although it has not proved possible to produce a convincing list of all 16. Of those identified, most were built for use at Killingworth or for the Hetton colliery railway. A six-wheeled locomotive was built for the Kilmarnock and Troon Railway in 1817 but was withdrawn from Service because of damage to the cast-iron rails. Another locomotive was supplied to Scott&apos;s Pit railroad at Llansamlet, near Swansea, in 1819 but it too was withdrawn, apparently because it was under-boilered and again caused damage to the track. On 29 March 1820, George (now considerably wealthier) married Betty Hindmarsh at Newburn. The marriage seems to have been happy, but there were no children and Betty died in 1845. A manufacturer was needed to provide the locomotives for the line. Pease and Stephenson had jointly established a company in Newcastle to manufacture locomotives. It was set up as Robert Stephenson and Company, and George&apos;s son Robert was the managing Director. A fourth partner was Michael Longridge of Bedlington Ironworks. On an early trade card, Robert Stephenson & Co was described as "Engineers, Millwrights & Machinists, Brass & Iron Founders". In September 1825 the works at Forth Street, Newcastle completed the first locomotive for the railway: originally named Active, it was renamed Locomotion and was followed by Hope, Diligence and Black Diamond. The Stockton and Darlington Railway opened on 27 September 1825. Driven by Stephenson, Locomotion hauled an 80-ton load of coal and flour nine miles (14 km) in two hours, reaching a speed of 24 miles per hour (39 kilometres per hour) on one stretch. The first purpose-built Passenger car, Experiment, was attached and carried dignitaries on the opening journey. It was the first time Passenger traffic had been run on a steam locomotive railway. As the L&MR approached completion in 1829, its Directors arranged a competition to decide who would build its locomotives, and the Rainhill Trials were run in October 1829. Entries could weigh no more than six tons and had to travel along the track for a total distance of 60 miles (97 km). Stephenson&apos;s entry was Rocket, and its performance in winning the contest made it famous. George&apos;s son Robert had been working in South America from 1824 to 1827 and returned to run the Forth Street Works while George was in Liverpool overseeing the construction of the line. Robert was responsible for the detailed design of Rocket, although he was in constant postal communication with his Father, who made many suggestions. One significant innovation, suggested by Henry Booth, treasurer of the L&MR, was the use of a fire-tube boiler, invented by French Engineer Marc Seguin that gave improved heat exchange. A local committee of enquiry gathered in support of Stephenson, exonerated him, proved he had been working separately to create the &apos;Geordie Lamp&apos;, and awarded him £1,000, but Davy and his supporters refused to accept their findings, and would not see how an uneducated man such as Stephenson could come up with the solution he had. In 1833 a House of Commons committee found that Stephenson had equal claim to having invented the safety lamp. Davy went to his grave believing that Stephenson had stolen his idea. The Stephenson lamp was used almost exclusively in North East England, whereas the Davy lamp was used everywhere else. The experience gave Stephenson a lifelong distrust of London-based, theoretical, scientific experts. Stephenson remained at Alton Grange until 1838 before moving to Tapton House in Derbyshire. On 11 January 1848, at St John&apos;s Church in Shrewsbury, Shropshire, George married for the third time, to Ellen Gregory, another farmer&apos;s daughter originally from Bakewell in Derbyshire, who had been his housekeeper. Six months after his wedding, George contracted pleurisy and died, aged 67, on 12 August 1848 at Tapton House in Chesterfield, Derbyshire. He was buried at Holy Trinity Church, Chesterfield, alongside his second wife. From 1990 until 2003, Stephenson&apos;s portrait appeared on the reverse of Series E £5 notes issued by the Bank of England. Stephenson&apos;s face is shown alongside an engraving of the Rocket steam engine and the Skerne Bridge on the Stockton to Darlington Railway. George Stephenson College, founded in 2001 on the University of Durham&apos;s Queen&apos;s Campus in Stockton-on-Tees, is named after him. Also named after him and his son is George Stephenson High School in Killingworth, Stephenson Memorial Primary School in Howdon, the Stephenson Railway Museum in North Shields and the Stephenson Locomotive Society. The Stephenson Centre, an SEBD Unit of Beaumont Hill School in Darlington, is named after him. His last home in Tapton, Chesterfield is now part of Chesterfield College and is called Tapton House Campus. Britain led the world in the development of railways which acted as a stimulus for the Industrial Revolution by facilitating the transport of raw materials and manufactured goods. 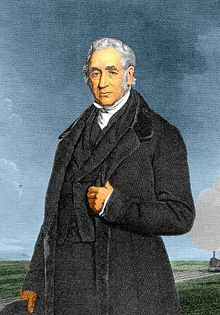 George Stephenson, with his work on the Stockton and Darlington Railway and the Liverpool and Manchester Railway, paved the way for the railway Engineers who followed, such as his son Robert, his assistant Joseph Locke who carried out much work on his own account and Isambard Kingdom Brunel. Stephenson was farsighted in realising that the individual lines being built would eventually be joined together, and would need to have the same gauge. 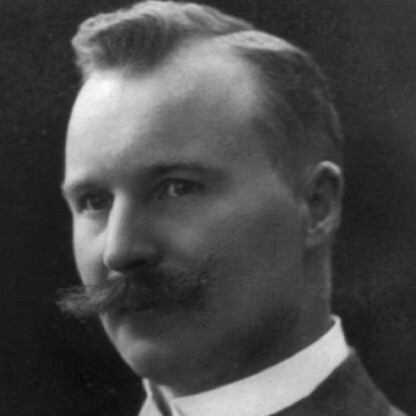 The standard gauge used throughout much of the world is due to him. In 2002, Stephenson was named in the BBC&apos;s television show and list of the 100 Greatest Britons following a UK-wide vote, placing at no. 65.